Helipads have been a fixture on top of buildings for decades and were a common feature of skyscrapers from the 1970s onwards. Tall buildings have helipads for evacuations during emergencies although other uses include goods delivery and air taxi services. 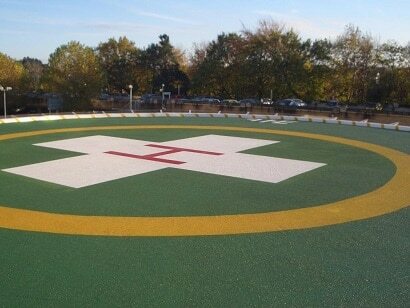 Helipads must be fit for purpose, especially at high elevations, and traffideck can help helicopters maintain secure footing on the helipad surface. The Guangzhou International Finance Centre, located in the Tianhe district of Guangzhou in Southeastern China, is the world’s 15th highest building and possesses the planet’s tallest helipad. This skyscraper, rising 1,439 feet with 103 floors above ground, was built between 2005 and 2010 and contains offices, conference rooms, a Four Seasons hotel and a two-floor observation area at the top of the building. China World Trade Centre Tower III. The China World Trade Centre Tower III, residing in Beijing’s Chaoyang district, stands at 1,083 feet and contains 81 floors above ground, making it Beijing’s tallest building that is equipped with the second highest helipad in the world. Inside the tower, there are offices, hotel rooms, restaurant area, observation posts as well as shops at the base of the structure. The U.S. Bank Tower, situated on 633 West Fifth Street in Los Angeles, was built between 1987 and 1989 to the design of Henry N. Cobb and mainly houses offices. This 1,018 feet high skyscraper, the tallest in California and 11th highest in the United States, has 73 floors above the surface and between 1989 and 2004 the world’s highest helipad sat upon its roof. The Northeast Asia Trade Tower, constructed between 2006 and 2011 and located in Songdo International Business District, is South Korea’s tallest building at 1,001 feet and the new city’s principal landmark. The tower’s 68 floors contain commercial offices, luxury hotel rooms, an observatory on the 65th floor and the 4th tallest helipad in the world on its roof. Abeno Harukas, situated in the Abeno-Ku area of Osaka, is part of the Abenobashi Terminal Building complex and was built between 2010 and 2014. The skyscraper, standing at 984 feet, is the tallest building in Japan and has the fifth tallest helipad in the world located on its roof. 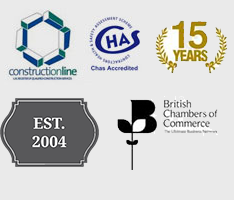 The purpose of the tower, like the other buildings in the complex, is mainly commercial. This entry was posted in Helipads and tagged helipads, skyscraper helipads, worlds best helipads, worlds highest helipad, worlds most expensive helipads. Bookmark the permalink.